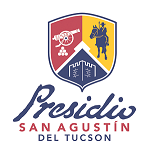 See what’s going on at the Presidio San Agustin del Tucson Museum! On February 9 from 10:00-3:00, “Statehood Celebration,” celebrating Arizona’s journey from being a territory of New Spain to the 48th U.S. state. Also, on March 9 from 10:00-3:00, “Columbian Exchange: Old and New World Foods,” a focus on gardening and the foods that were being grown by the native people when the Spanish arrived and the foods the Spanish introduced to the area. And on April 13 from 10:00-3:00, you won’t want to miss the “Fiesta de los Gentes: Celebrating the Cultures of Tucson,” celebrating the different cultures that have helped form Tucson into the city it is today. Presidio Tucson is located at 196 N. Court Ave, Tucson, log onto to https://tucsonpresidio.com/living-history.